Whilst many will look at Ed Clancy and only know of his ability to win three Olympic Gold medals on the track as well as his prowess in the crits, the new signing for Vitus Pro Cycling p/b Brother UK has a lot of experience on the road having ridden for T-Mobile’s development, team Sparkasse with Mark Cavendish at the start of his career. Ed also rode for Belgian team Landbouwkrediet for two seasons in Europe. 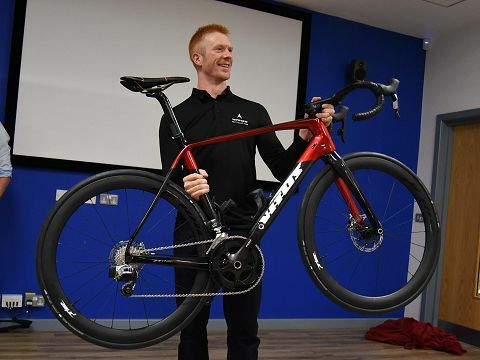 In Britain, Ed has ridden for British teams Halfords and Motorpoint (Phil Griffiths) before he joined John Herety where he has been since 2011. Over the years, his palmeres has steadily grown. Stage wins in Korea, Tour de Berlin and the Sun Tour along with a lot of wins in circuit races. 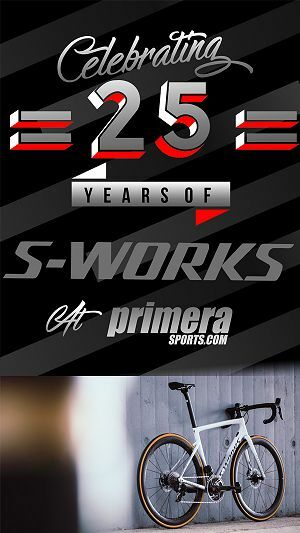 A look on Cycling Archives has Ed with 60 plus career wins including six world championships, 15 world cup wins, and of course three Olympic Golds. 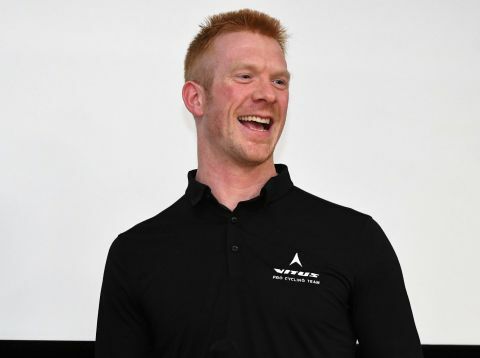 In Britain, his ten wins in the Tour Series makes him one of the ‘winningest’ riders in the series with victories from a win in the first series in 2009 to two wins in 2018 showing he is as fast as ever. Currently Ed is focused on a full on training block with the Great Britain team with the goal of going for another World Title in the Team Pursuit before the road season kicks off. “I know a few of the guys in the new team like Latham, Brigga, and Ali but a lot of the teammates are going to be new to me so it is going to be very much a development process with them. I have known Chez (team owner Cherie Pridham) and Eddie for a long time and have spoken to them in previous years but for whatever reason in previous years, I was happy to stay with John”. 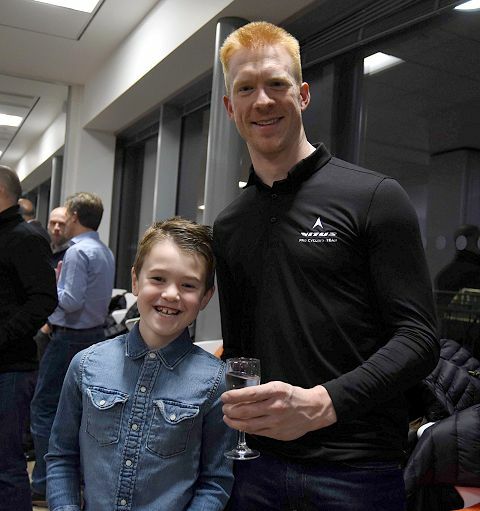 “He has done so much for me in my career and not just at JLT Condor. I worked with him right back in the days of the Great Britain Academy (2004).Vitus Pro Cycling p/b Brother UK approached me as early as May or June so it there was always going to be a decision to be taken”. “I am massively grateful to John for what he has done for me in all the teams we have worked together on. I am massive fan of Johns, always have been and always will be. He’s a good person and cares about you as a person and as a cyclist. Don’t get me wrong, when he comes down on you it can be harsh but he’s always fair”. The 2019 season is an important one for Ed in that it’s pre Olympic year and the 2020 Olympics is a big goal for Ed’s. “Already I feel my focus has changed in the last few months. I have been busy on the road and track with GB. There’s been a lot of road based camps in Portugal and I am very much track focused. The World Cups and World Championships are very much at the forefront of my mind”. Looking back at 2018 and mixing track and road, Ed had two victories in the Tour Series including the series finale in Salisbury. 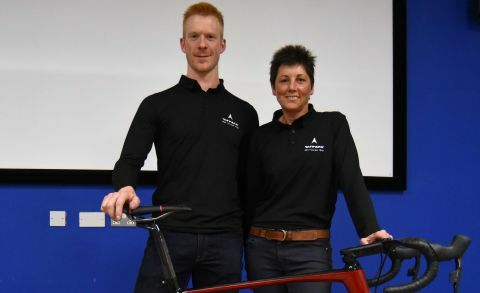 Post Tour series, the attention turned to the track, and he explained “I really had a tough time making the transition from the Tour Series to the European Track Championships but then had a break and re-evaluated the training”. “I am just so happy with the fact the Team Pursuiting is back to the way it can be and that I’m back to being one of the best in the team. Although we haven’t won a World Cup, we have had some great performances and it’s a matter of time to when we have four decent guys on the line and start tearing things up”. Ed and the GB team however know they will all have to have their best form on the day with so many nations now in the hunt for the Team Pursuit title at the Worlds and then the Olympics. “I did think this season (2018) was compromised with road and track competing with each other and there was no escaping that with it being Olympic qualification. So next year it will be clear cut; track and no distractions all the way up to March and after the track, it will be about performing on the road and doing as well as we can in the Tour Series and the crits as usual”. Ed is also looking forward to working with the young guys at Cherie’s team. 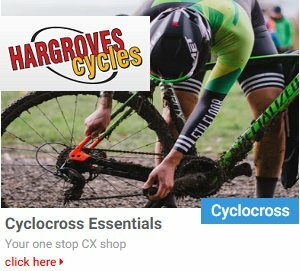 “Every race in the GB Olympic training programme is going to be pretty much British based and there is a big development side to this team which works well for me because as much as I want to win the crits, for me you know my potential in a hilly Prem is pretty limited but it does open the door for me to help out the young guys. Myself, Graham, Latham and Ali can help captain these guys a bit and mentor them onto better things”. For Ed, coming to Vitus Pro Cycling p/b Brother UK with former teammates in GB and JLT Condor is going to be very important. “It is a massive help. Everyone knows I am pretty big mates with Graham (Briggs) and Ali (Slater) and Latham (Chris) too from our time at GB”. That team was to Vitus Pro Cycling p/b Brother UK. Team owner Cherie Pridham says of signing Ed … “Ed’s achievements as a bike rider speak for themselves. 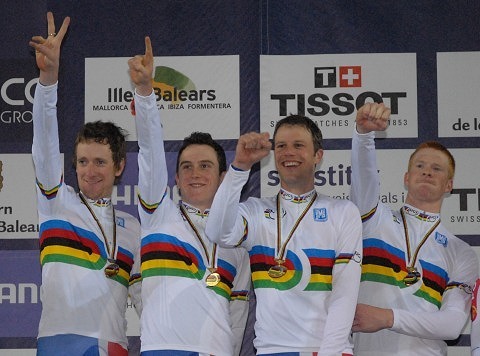 You don’t win three Olympic gold medals and so many rainbow jerseys by chance. He is a world-class athlete, and a significant addition to our roster,” Pridham said. “We know too that Ed’s value to the team extends far beyond his unquestioned ability to win races. It’s hard to imagine a more inspiring figure for our younger riders: highly successful, but friendly, approachable and entirely down-to-earth”. 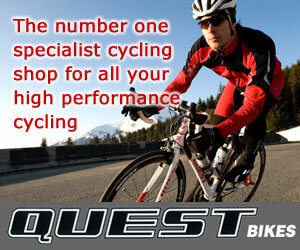 “For sure, the Tour Series will be a big part of this year’s preparation for the track. If you look at the numbers you do; we had the Tour Series before London and before Rio and in Olympic year, you do need to be choosy which Tour Series rounds you do, but the numbers you get and the racing is great. You do have to weigh it up with the travel, rest and recovery and team and track commitments in Olympic year but this year, you’re still working on the foundation and fitness”. 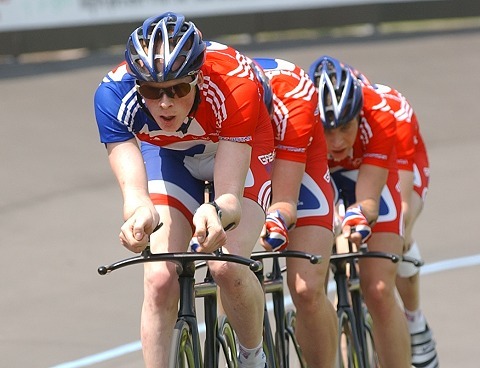 The Team Pursuit, which is Ed’s ‘event’ with Team GB, is something I have seen him do many many years. “When I started Team Pursuiting as a junior/under 23, the Aussies had the world record, a 3.56 at Athens and I remember we used to try and do a flying kilometre at world record pace and we couldn’t get our head round how fast it was and the Aussies were doing it from a standing start over 4k”. How fast can GB go I asked? It is so dependent on conditions, the tracks and technology. Condition (of the riders) dependent to. If you’re lucky, you can get four guys with their A game on any one day and that isn’t an easy thing to do”. “We do have a long term strategy and we’re doing what can so we can get it out on the big day. We are not delusional and think we’ll turn up and it will be easy. Those young Aussies and Kiwis are good, the Danes too and the rest of the world is learning not just from us but each other”. Ed and his stead for 2019 …. 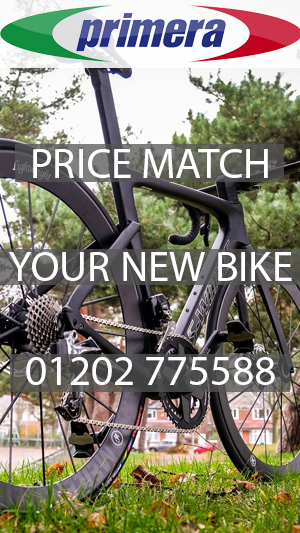 “Will it make you faster in a 10 mile TT? No. 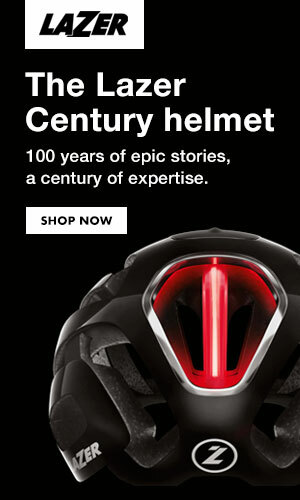 But it terms of a crit bike, it makes total sense to me. To me it seems logical. The weight penalty is extremely minimal especially when you stick an 80 kilo rider like me on top of it and for me to have better confidence of the braking, have better modulation, no wear and so on. I’m all for the team using disc brakes”. 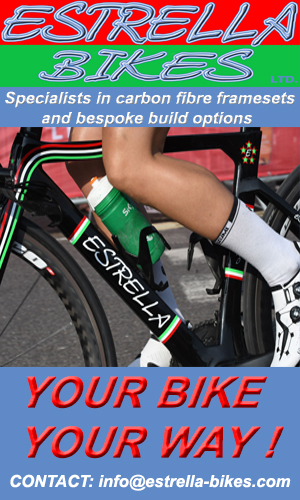 Our thanks to Ed, who’s experience is not just going to help his young GB teammates but also the younger riders in Vitus Pro Cycling p/b Brother UK. And who knows, after all the wins in his career including those in 2018, victories in 2019 look like continuing and we hope for Ed, one of the nicest most level headed riders you can meet, they do so because on the podium his beaming face is one hell of an image! Good luck Ed!